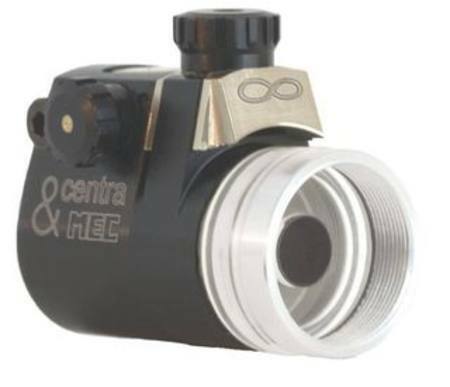 The Centra Duplex is an accessory element that can be attached to the rear sight to help minimise aiming errors. An anti-glare tube can be screwed onto many commercially available rear sights and this forms the supporting element for the Duplex. Shown here with an insert ring attached (purchased separately - 9769, 9768), the Duplex can also be used with the Duplex iris (9770).